1963 E-Type Lightweight: In early 1963 Jaguar announced the 'Competition E', which quickly also became known as the "Lightweight E-Type". Twelve were constructed and three went to Briggs Cunningham and all were entered at Le Mans. 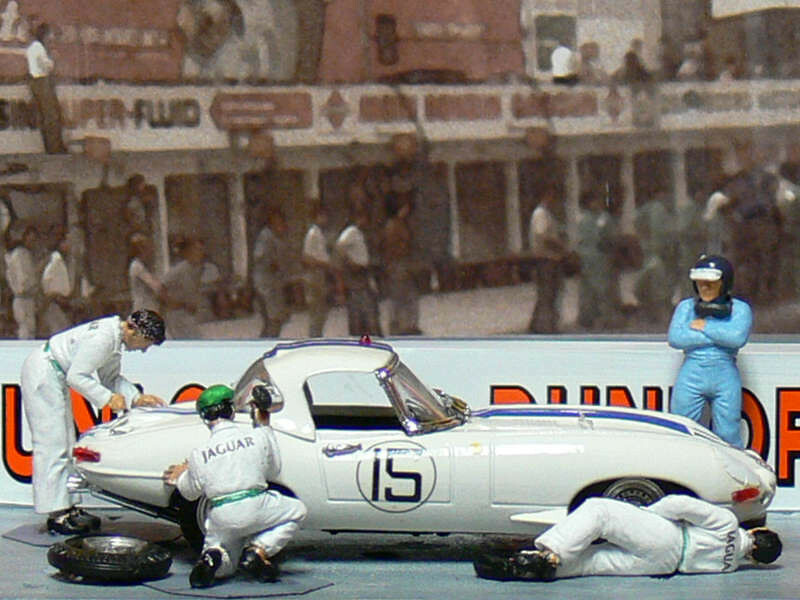 E-Type 850659 is one of those cars and this is how the car looked as it raced at Le Mans in 1963 and despite an accident, it finished 9th with Bob Grossman and Briggs Cunningham. Model by BEST 1/43. Credit: http://www.oldirish.com/collection/models3.html.